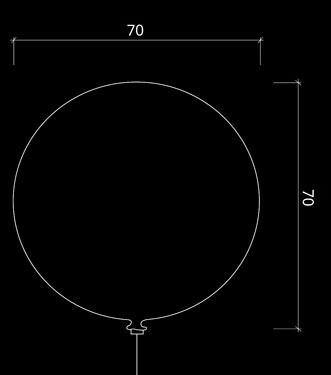 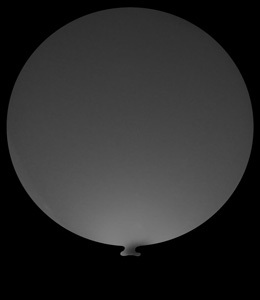  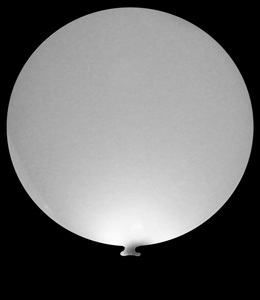 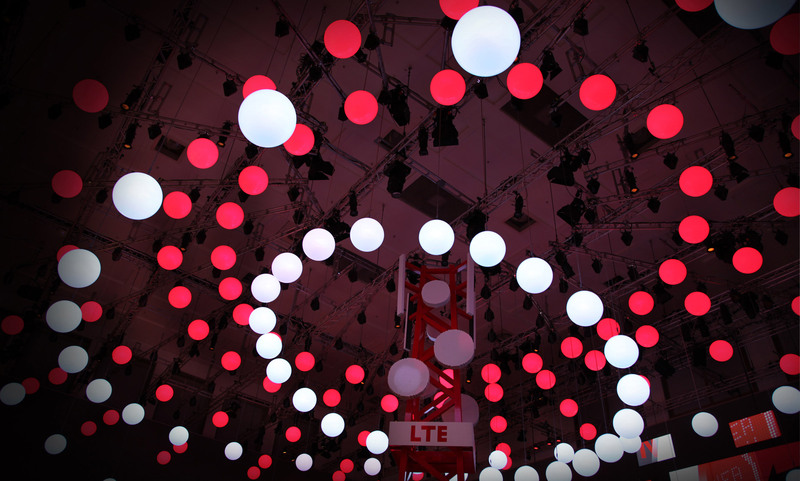 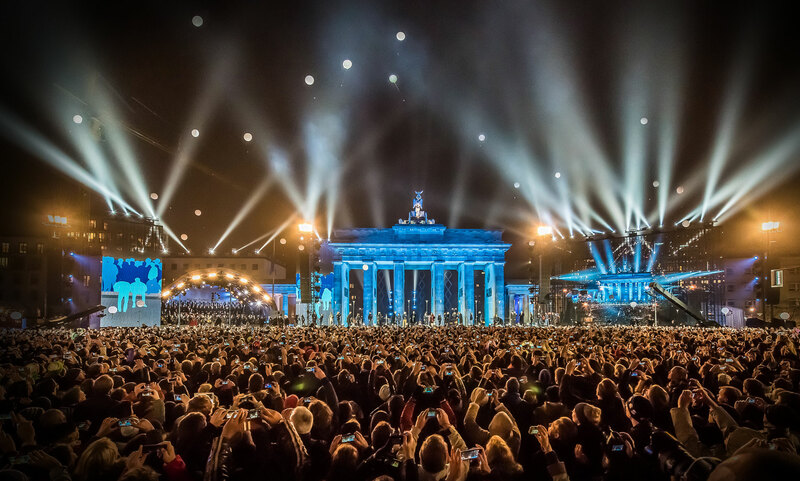 The height of each helium filled Balloon 70 is adjustable by using a ground-based WinchXS, while the internal illumination is accomplished with dimmable super-bright LEDs, creating a three-dimensional pixel in a floating spatial matrix. 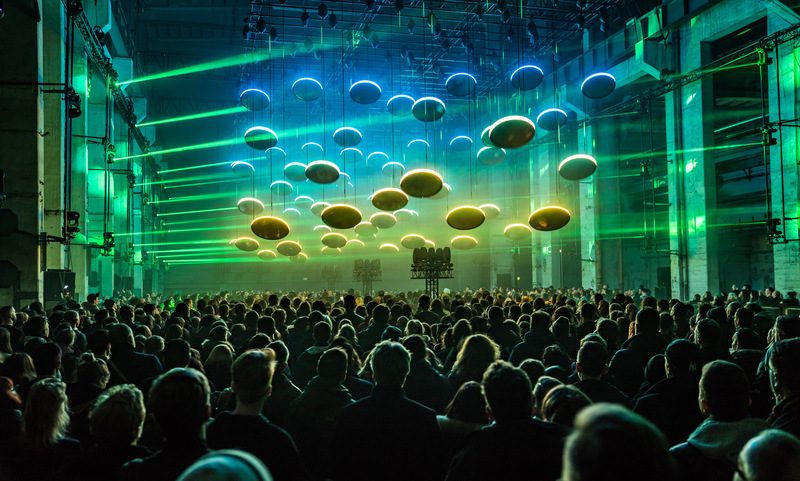 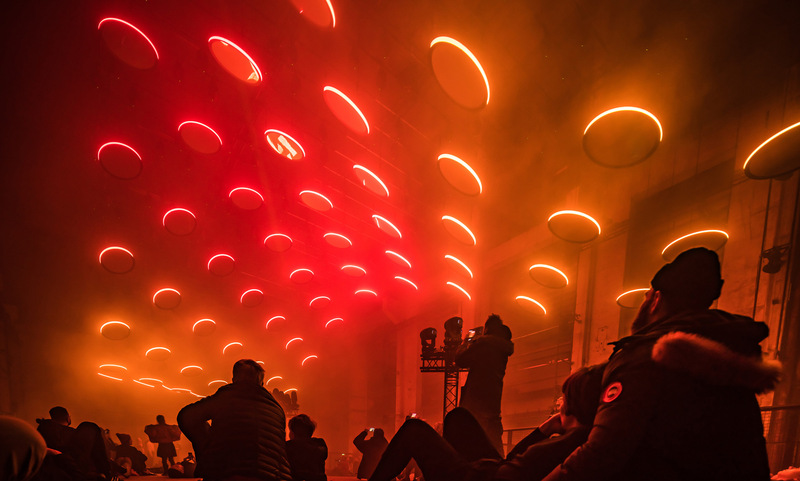 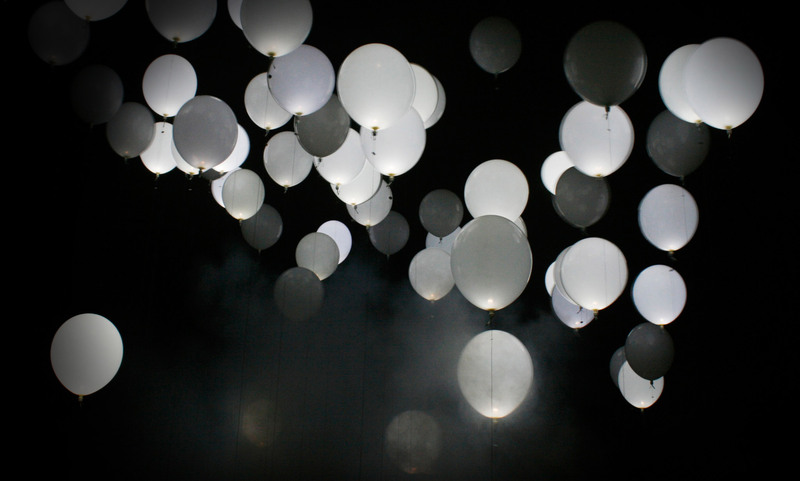 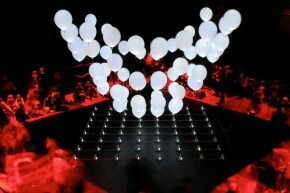 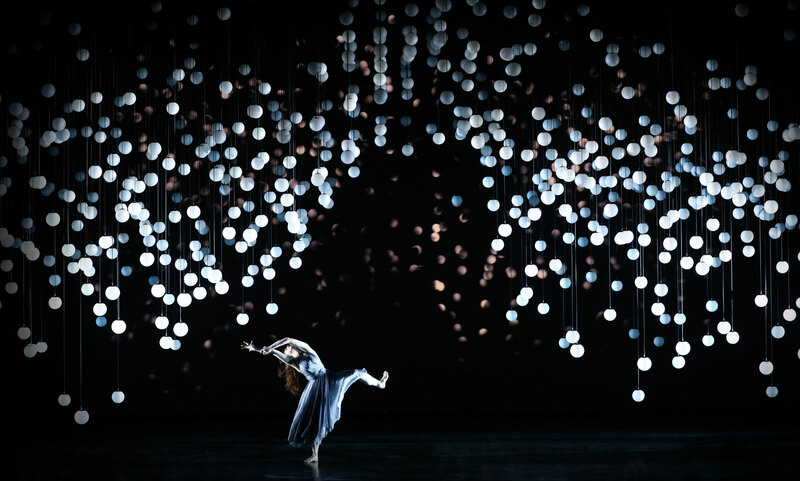 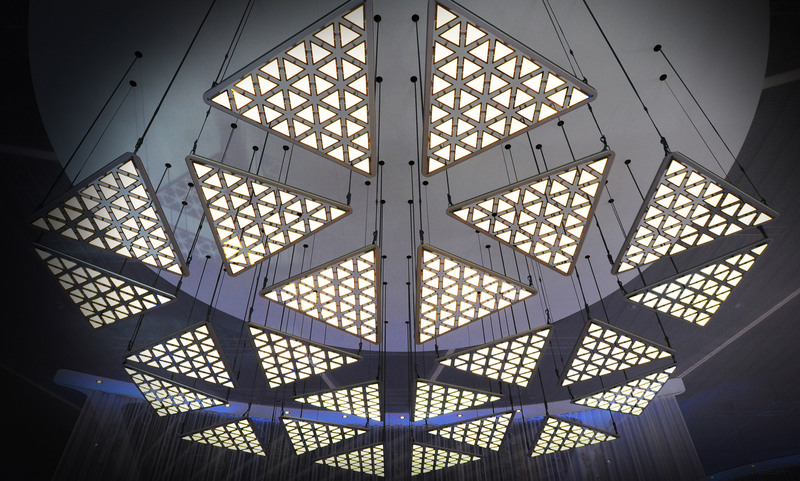 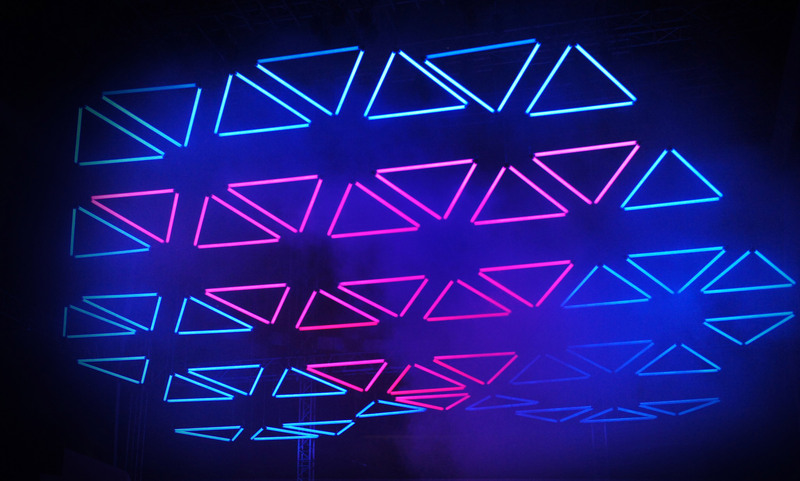 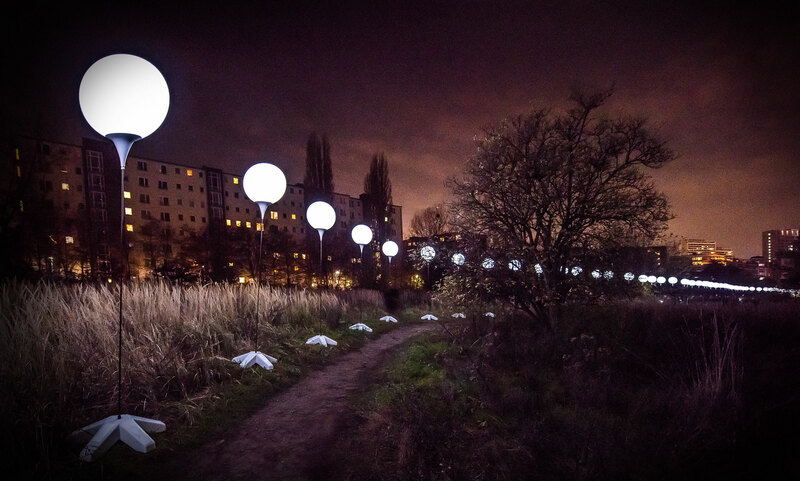 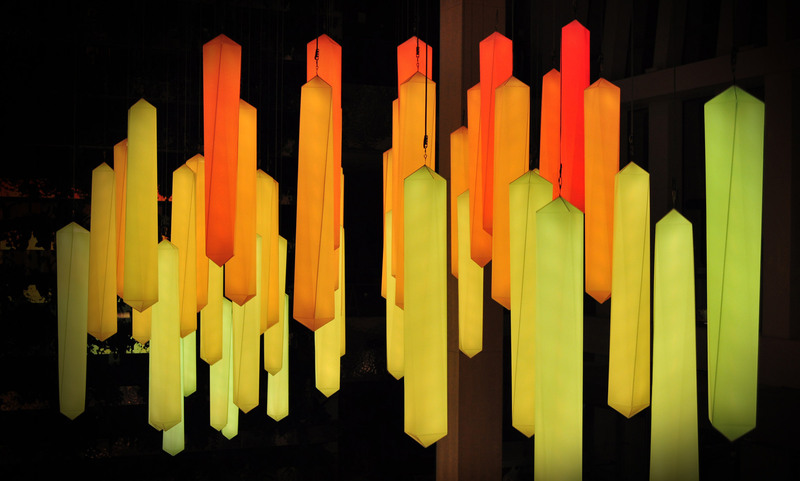 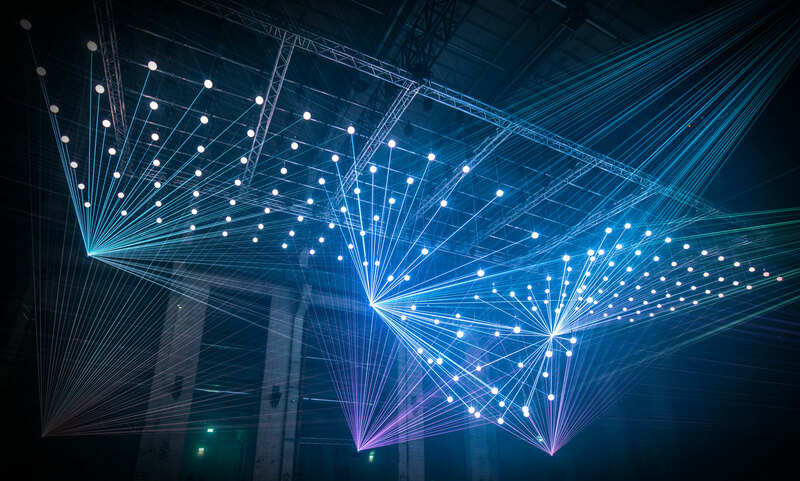 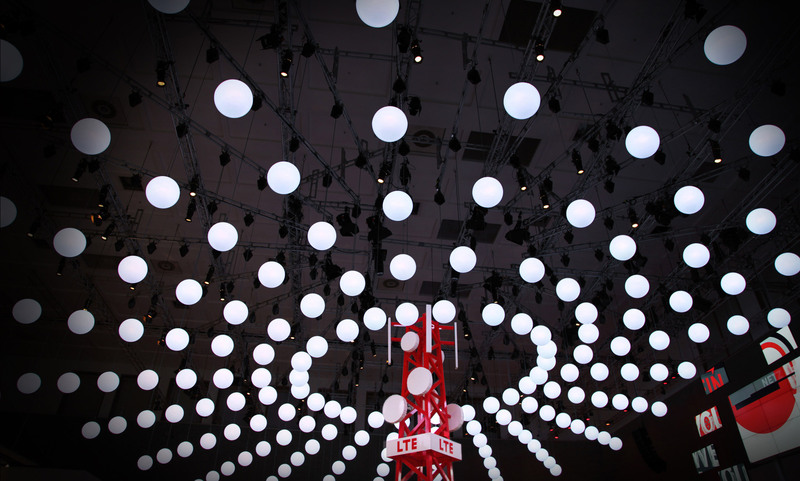 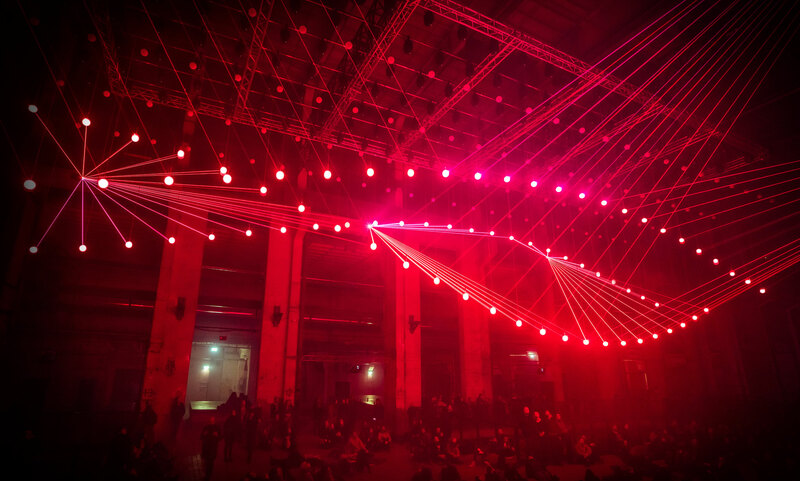 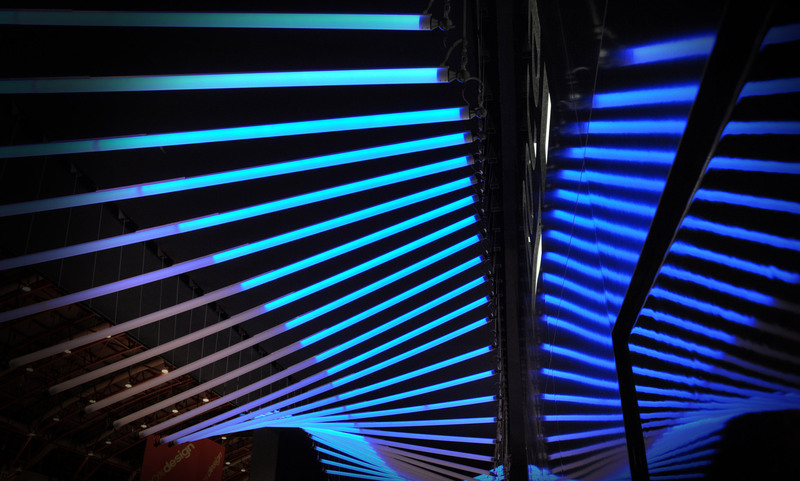 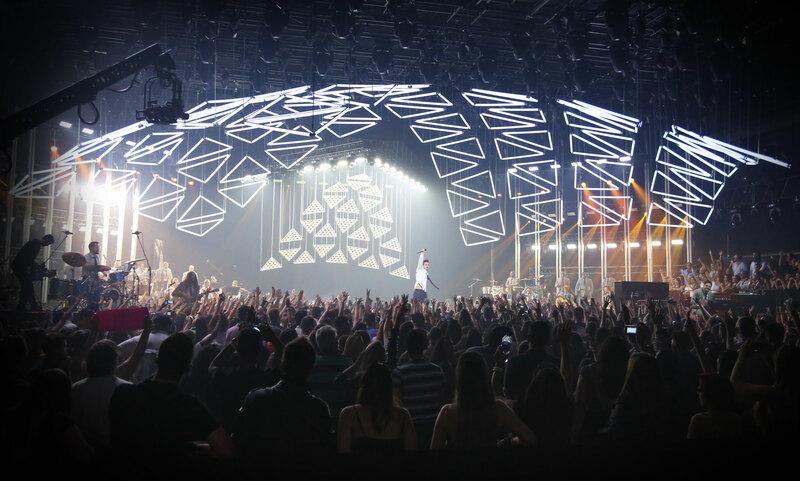 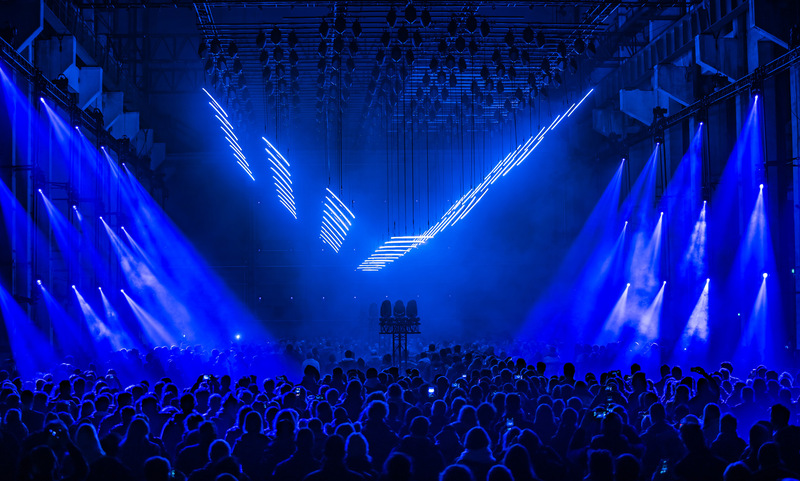 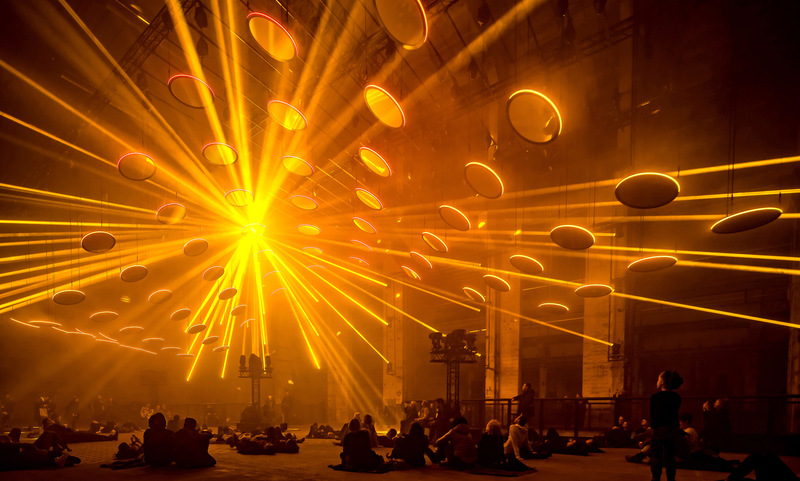 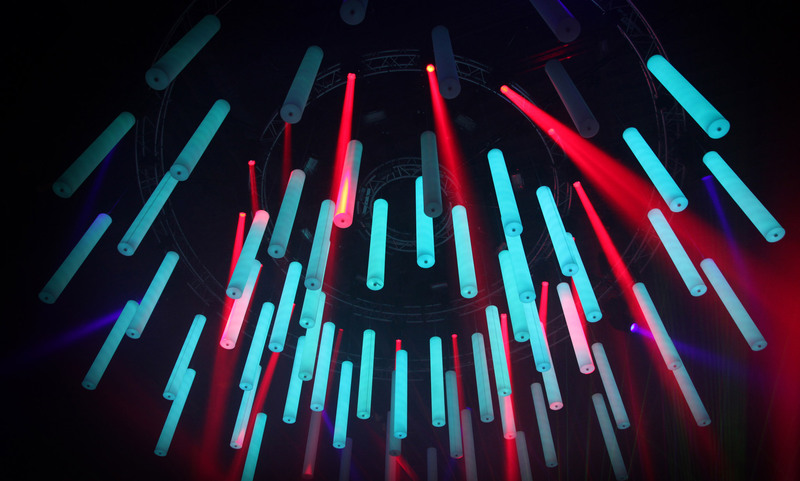 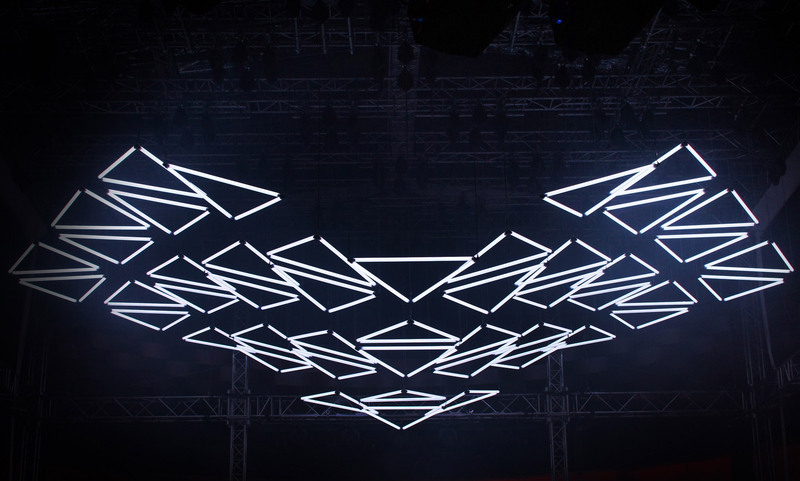 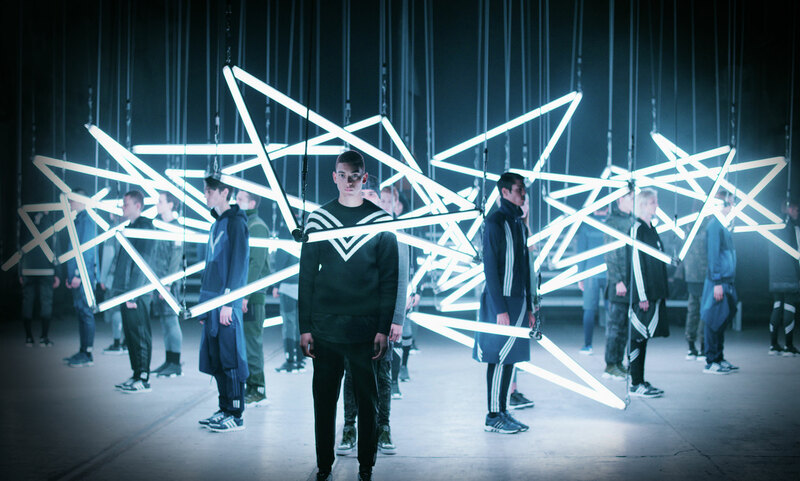 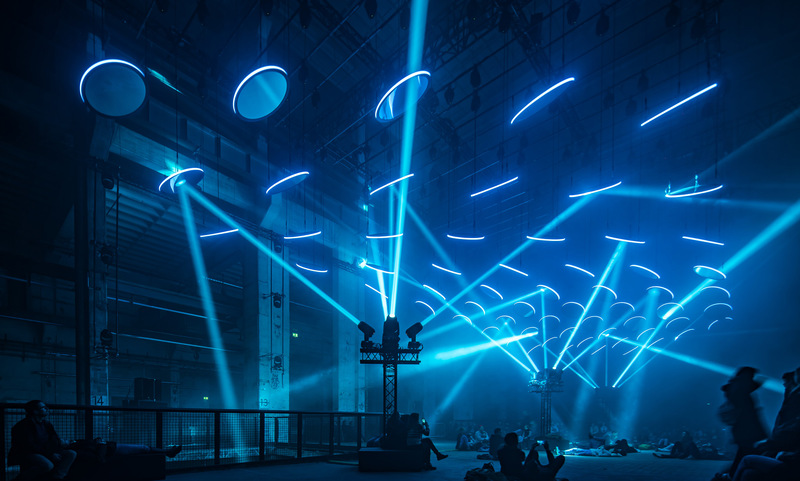 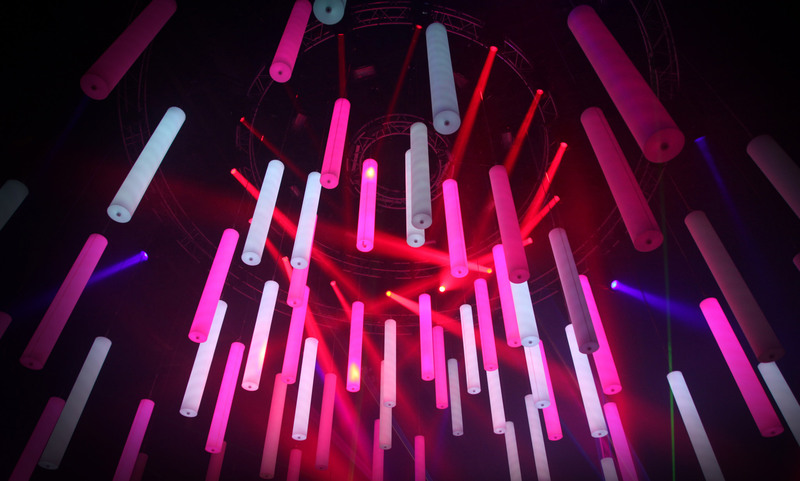 The performance and installation created by a matrix of Balloon 70 lights is called ATOM. 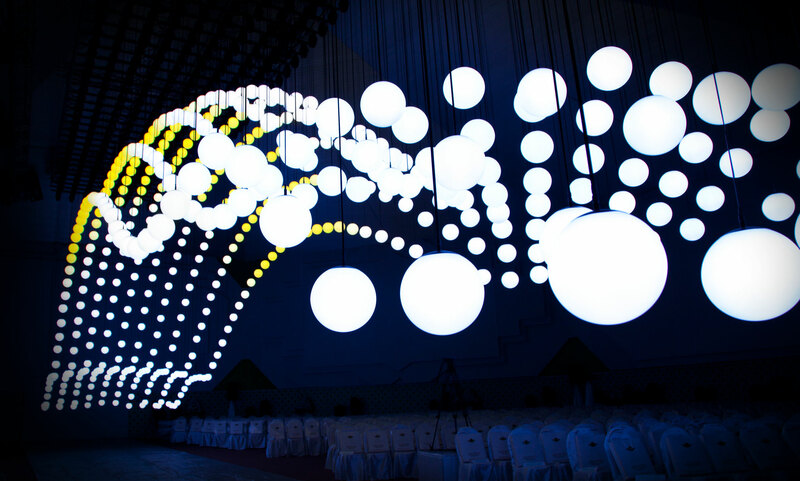 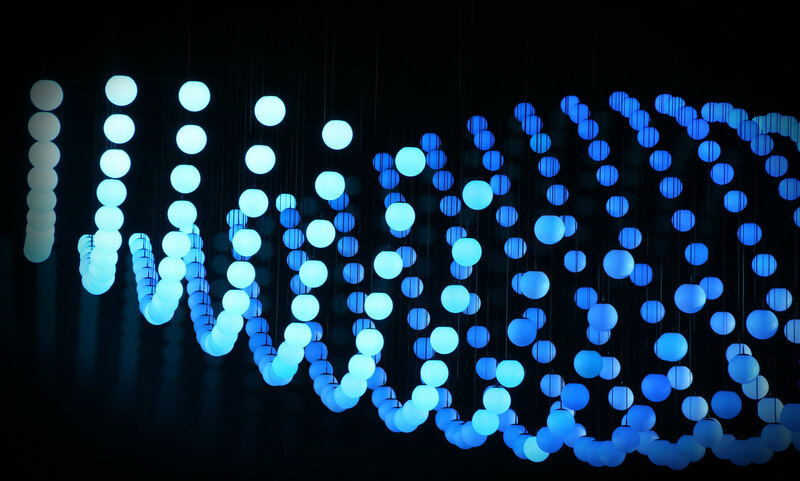 Through variable positioning and illumination of each Balloon 70, a dynamic display sculpture comes into being composed of physical objects, patterns of light, and synchronous rhythmic and textural sonic events. 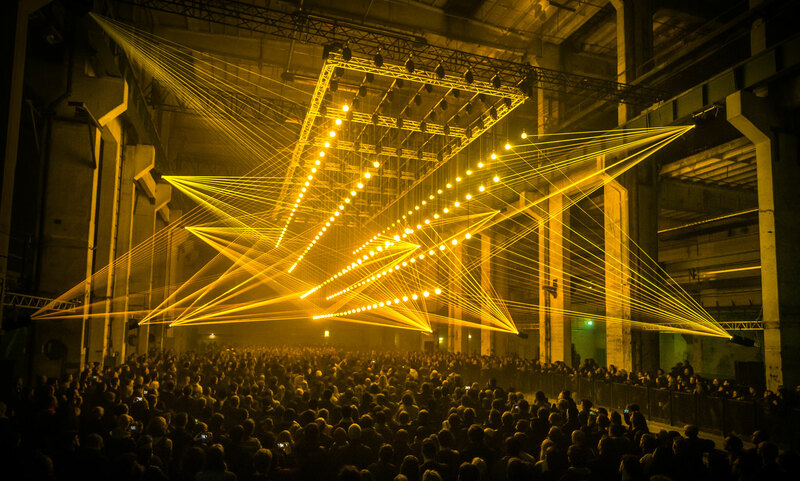 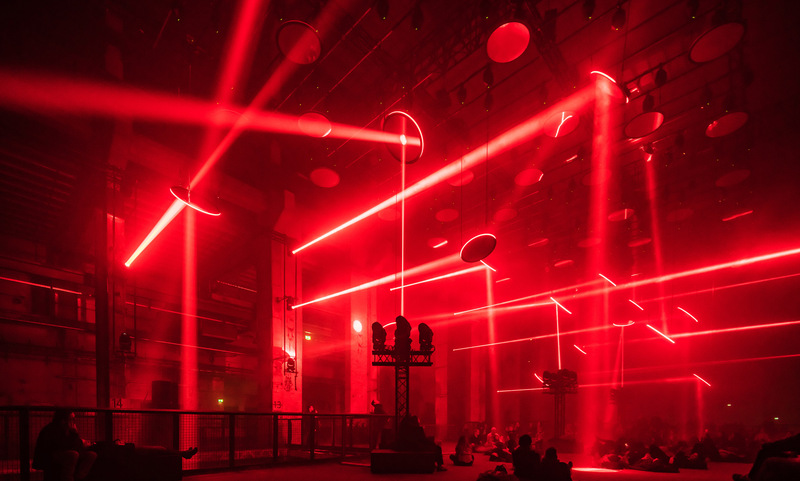 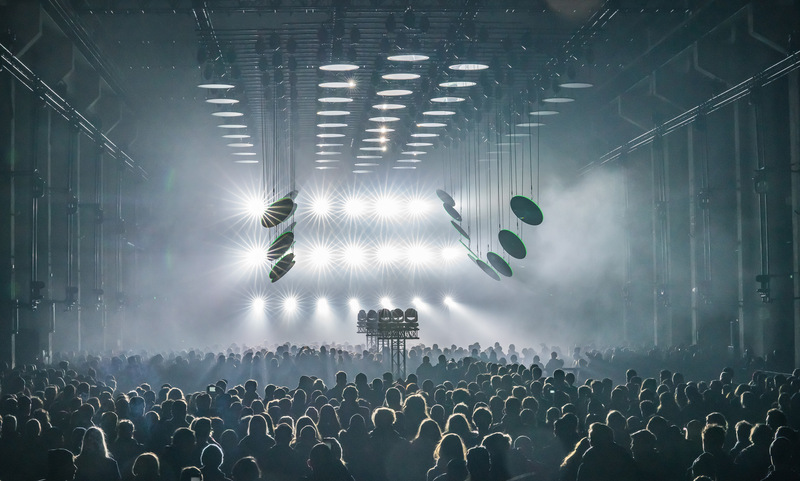 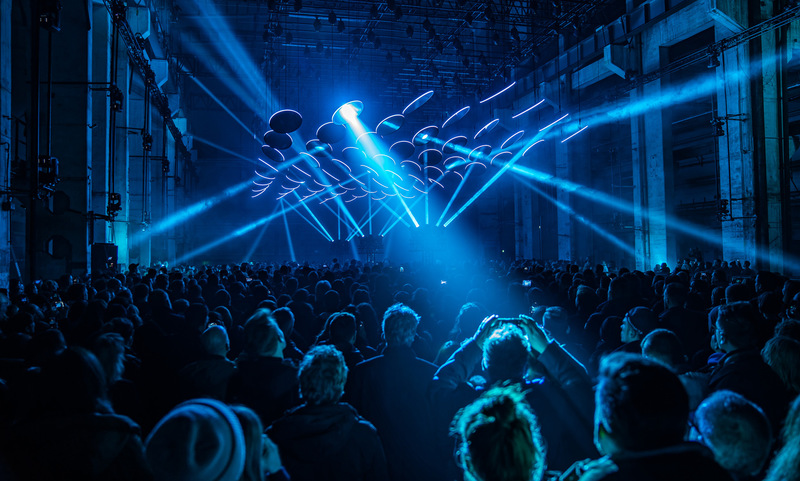 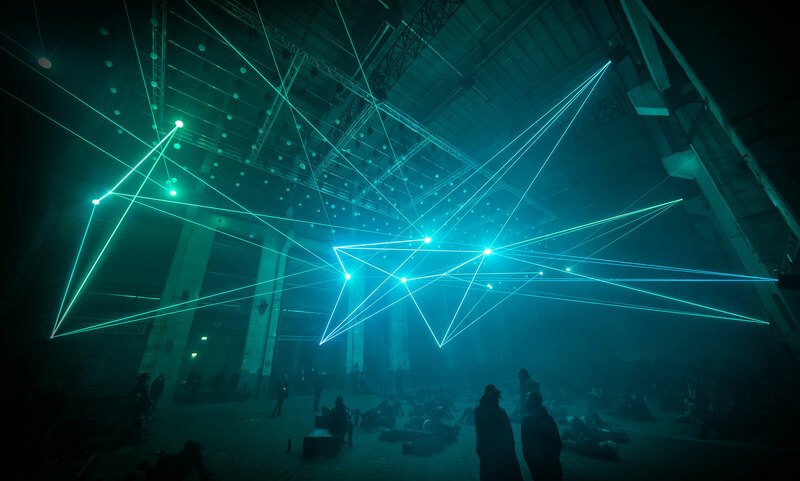 Music and live pattern generator composed and performed live by Robert Henke aka Monolake.